In 2015 we established our Graduate Scheme which enables graduates to develop their careers, not only in technical excellence but also other aspects of equal importance such as commercial awareness, mentoring of others, and contributing positively to the growth and development of Aarsleff into the future. Our passion for and belief in developing young people is a golden thread that runs through the company. We are committed to providing training and development for all employees to optimise personal performance and contribution to the company. The Aarsleff Graduate Training Scheme has been developed in partnership with Nottingham Trent University and more recently Leicester De Montfort University, where it has exhibited at its 2015 “Internships, Placements and Graduate Careers Fair” to encourage bright new talent into the Company and help address the widely acknowledged and growing skills shortage in construction and in particular the geotechnical sector. 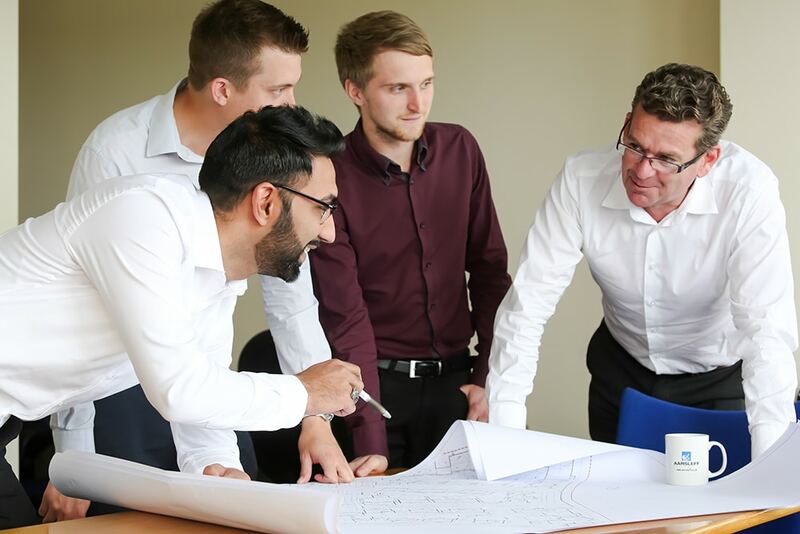 Allowing graduate exposure to all areas of the business will provide the graduates with a good knowledge base in how Aarsleff and geotechnical businesses in general work. They will also have the opportunity to work on their own projects with support and guidance from Aarsleff’s experienced senior staff, with a view to being offered opportunities for permanent positions.